IPKO Foundation has set a great example with its long-term commitment of encouraging greater philanthropy within Kosovo and providing continuous support for an increasing number of initiatives among women. While being one of the greatest contributors in terms of promoting a better education for young women in Kosovo, IPKO Foundation has donated more than 49% of its scholarships to such individuals who have showed active participation, innovation, and success in the fields of technology, education, and business. IPKO Foundation is delighted to announce that its previous €5,000 investment in the Kosova Women’s Network’s (KWN) new grant and scholarship fund has aided the establishment of its mission to support, protect, and promote the rights and interests of women and girls throughout Kosovo, regardless of their political beliefs, religion, age, level of education, or sexual orientation. Firstly, 20% of the investment was used to increase the number of girls who attend higher levels of education and move them one step closer to reaching better economic and social prospects. Hence, the “Çifti Bucinca” Foundation has been established to implement this objective as an estimated number of 3 to 10 young women were able to continue their academic education in higher levels. Secondly, the investment aided the improvement of the documentation of women’s life stories in an attempt to educate future generations and preserve the Kosovar cultural heritage and history. This documentation was reached through filmed interviews, short documentaries, transcripts, and/or photographs and was delivered by the Kosovo Oral History Initiative with the financial support coming as a result of the investment. The latter, along with other individual donations, has also made it possible to launch an interactive and innovative website, which can be found here. The website does not only offer its users an opportunity to learn the essential concepts of photography and research, but also provides women with greater access to education, while promoting Kosovo to the wide range of international researchers and academics. Thirdly, a part of the investment went to the Kosovo Women’s Fund that aims to support women’s groups that lack access to resources, while another share went to the Foundation for Education and Development in Novoberde. The latter carried out an initiative called “Organizing and interethnic cooperation of the women in Novobrdo.” The initiative offered a five-day training for the women of the region, who also made sure that their voice was heard by contacting the adequate Ministries in order to acquire free transportation, which had previously been abolished. A positive response will certainly increase the extent to which women have access to resources and most importantly, education. The aforementioned initiatives show how a considerable investment can alter the social, economic, and educational levels of individuals from different communities. 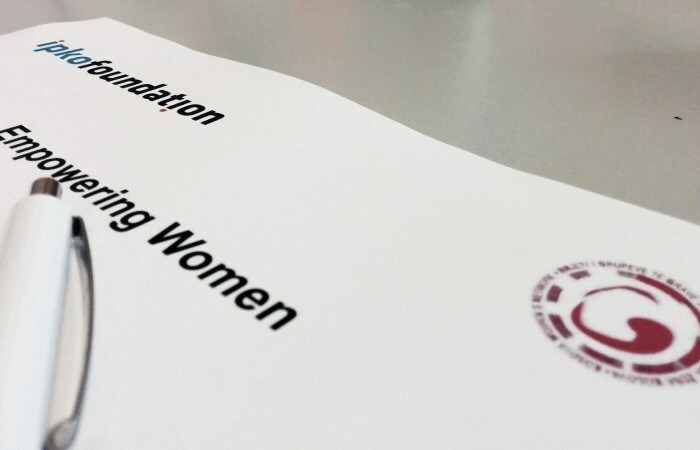 IPKO Foundation has once again managed to improve women’s position in society, while KWN has been able to implement both organizations’ objectives by stimulating more local philanthropy and easing the lives of women. We strongly encourage others to donate to the KWN education scholarship program and their small grants program. You can learn more about the KWN member grant fund here and learn how to donate to the KWN here.